¡Buenas noches! ¿Cómo ha ido el fin de semana? El nuestro ha sido muy tranquilito y como ya os comenté, hemos aprovechado para ir al cine a ver Hans Solo. La película no está mal, aunque no es la mejor de la saga Stars Wars. Hoy os traigo un look casual perfecto para llevar el fin de semana. 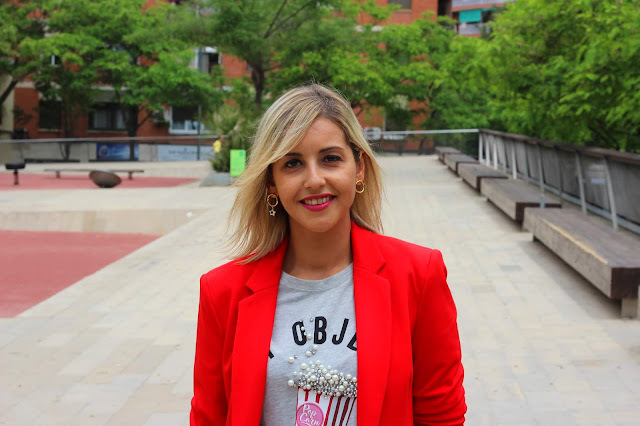 En el look llevo mi nueva camiseta gris con perlas simulando las palomitas que combiné con unos jeans y una blazer roja. Me encantan este tipo de camisetas con toque joya, ya que se pueden usar en infinidad de looks. Los accesorios de look fueron mi bolso redondo de rafia y mis inseparables Converse. ¿Qué os parece el look de hoy? Gracias por vuestras visitas y comentarios. Nos vemos el jueves con un nuevo post. Feliz inicio de semana. Good night! How did the weekend go? My weekend was very quiet and I went to the cinema to watch the film "Hans Solo". I liked the film, but this one isn't the best of the Stars Wars Saga. Today I bring you a casual outfit that it's perfect to wear during the weekend. In the outfit of the day, I wear my new grey tee with pearls as pop corn that I mix with jeans and a red blazer. I love this kind of tees with jewelry details, because you can use it in a huge variety of outfits. The accessories of the outfit were my round bag of rafia and my Converse. What do you think about the outfit of the day? Thanks for your visits and comments. I will see you next Thursday with a new post. Have a nice weekend! Qué guapísima!! 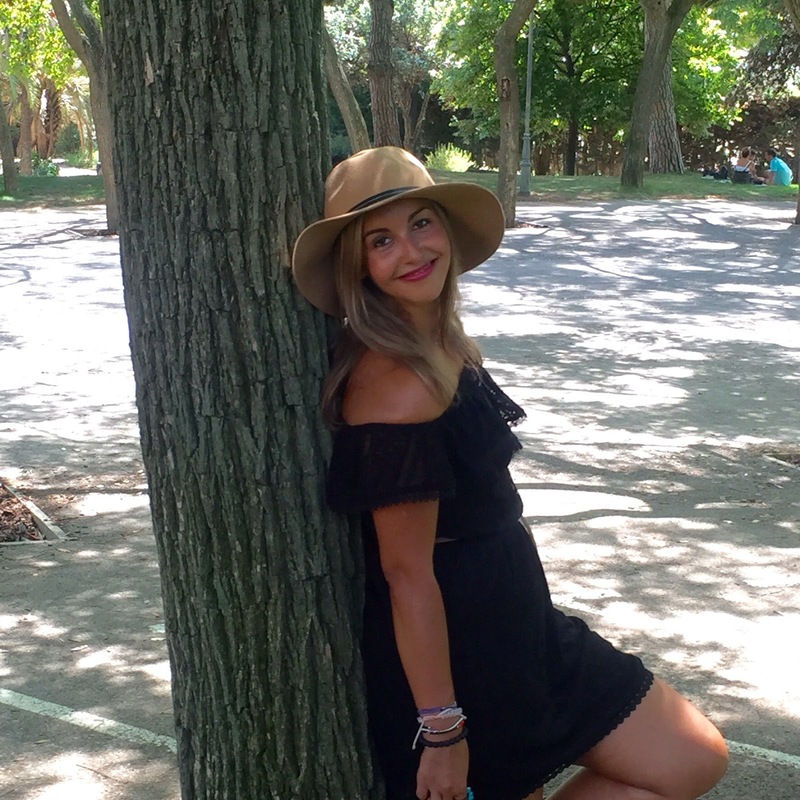 Me encanta el look, es una monada! Muchas gracias Monica. Un besazo! Me encanta la camiseta! El detalle de las perlas simulando palomitas queda genial! Qué camiseta más ideal! Yo estoy esperando una parecida de Kiabi. Y la camiseta es genial. Muchas gracias mi niña. Un besazo!